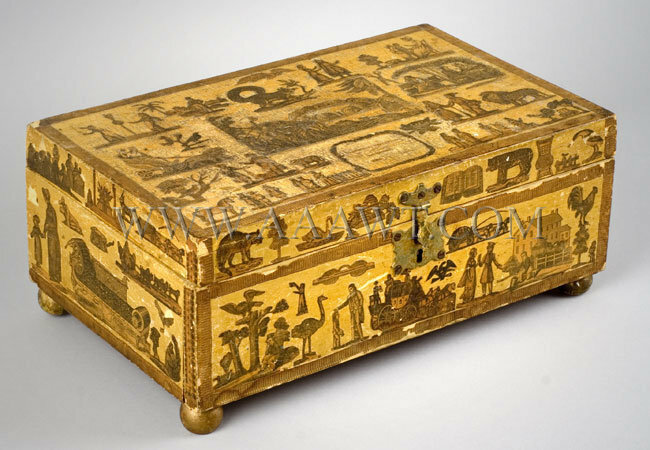 As depicted, this box in yellow with near full coverage decoupage decoration. We find a Daniel L. Thompson of Phillipston-Royalston to have been born in 1814 and married 1847. The box remains in very good condition with minor losses and two appropriately replaced feet. Dimensions: 5-inches high, 12.5-inches wide, 7.5-inches deep. 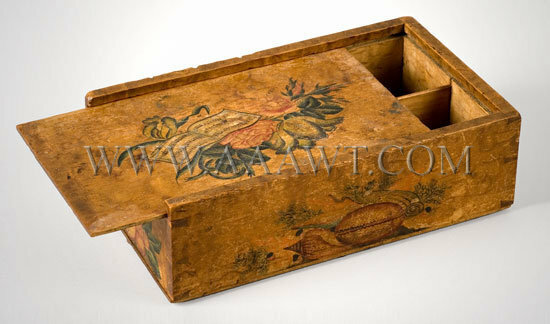 This 2nd quarter of the 19th century figured maple slide lid box is decorated on four sides and top with flowers, fruits and sea shells. 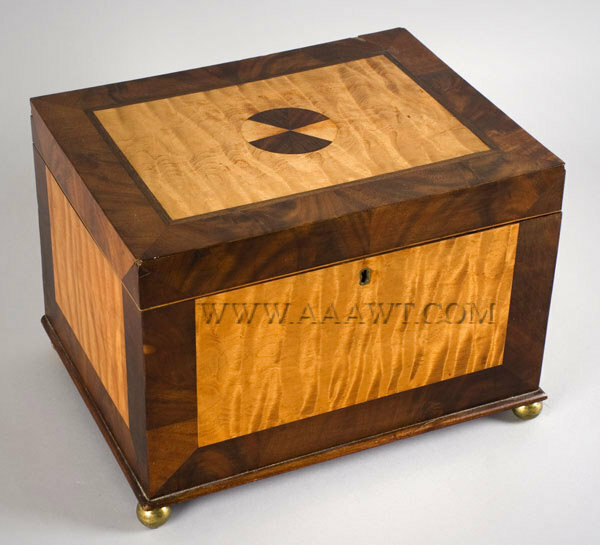 The corners are dovetail construction and the interior is separated into four compartments. Dimensions: 2.5-inches high, 8.25-inches wide, 5-inches deep. A great example of a centuries old Northern European tradition! 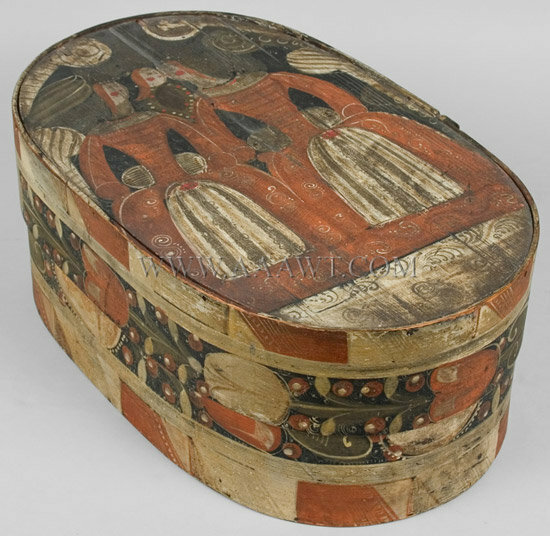 Brides boxes were a traditional gift a groom would make or have made to present to his bride for her most special possessions, such as her headdress and other small items from her trousseau. The boxes also were known to be part of a bride's dowry. Always colorful the decoration on the box we are offering is especially nice. Dimensions: 18.5" L by 7.5" H.